Foxy 27,5 6061 Alloy Stealth Evo, hydroformed tubing, Zero Suspension System, Forward Geometry, Boost 12x148mm rear axle, One piece Monoblock upper link, BSA bottom bracket, telescopic seatpost internal routing, MAX capacity sealed bearings, removable derailleur adaptor, sideswing derailleur, 140mm travel. Rockshox Reba 27,5 RL Solo Air, 150mm, Tapered head tube, 15x110mm Boost axle, 32mm aluminium bars. Settings: rebound, compression adjustment at low-speed to lock, air preload. Onoff Saturn Tapered for 1-1/8” -> 1/5” head tube. Top bearing 41x30.2x7x45?x45?, bottom 51.9x40x8x45?x45?. SRAM NX16000 series aluminium, 24mm axle, chain ring with Direct Mount, standard Boost, 170mm crank arm length in S/M size and 175mm in L/XL size. 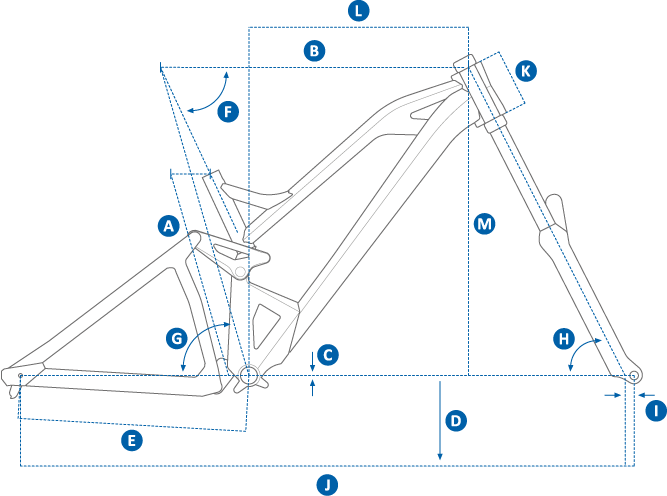 Mondraker 6061 Aluminium 6061 double-Tapered. Exclusive design for Foxy, height 20mm, width 780mm, 9? backsweep, 5? upsweep, diameter 31.8mm. MDK-EP1 27,5 TLR ASY, internal width 27mm, tubeless ready, 32 spokes. Maxxis Ardent 27,5x2.40. Single compound, 60 TPI, wire. RockShox Monarch RT Solo Air HV tube. Settings: rebound, compression (3 positions), air preload. 200x57mm. Bushes 22.2x10mm on both sides. Light compresion L, L3 rebound , 380 Lbs Threshold. Eyelet High Volume. 32T, steel, X-SYNC 1x11 technology.